I'm gettin' my Fall on today. Pickin' out punkins and mums. Saw this truck at the nursery. 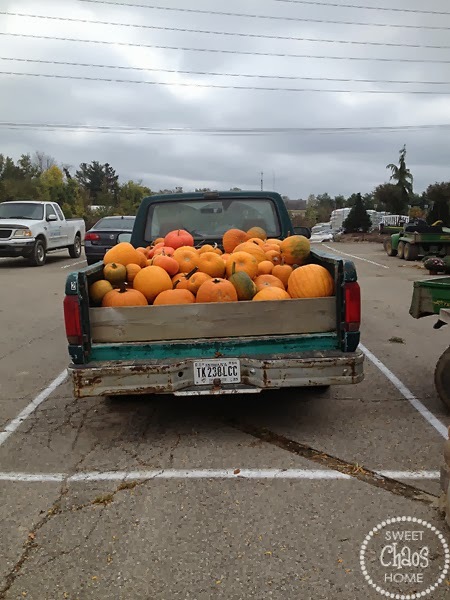 What is it about an old truck filled with pumpkins? Makes me want to become a pumpkin farmer. Or I could just park this bad boy in the driveway, and call my Fall decorating "done." I'd better get to it. I have to have my house "modern and fresh" by Monday. The "fresh" is no easy task when you live in a house of boys. You can go HERE to get started on the home tours. You totally rock Modern and Fresh!!! Cant wait to see the tour...sounds like fun! Great picture:) and looking forward to the tour! That is a perfect image for fall, I love it! 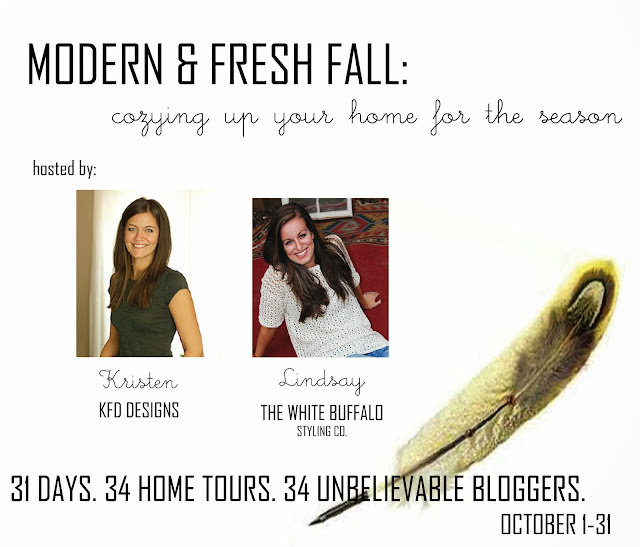 Hi Carolyn, just wanted to stop by and meet you since you are up after me on the fall home tour. Can't wait to see it! Totally following along and LOVING these tours! Everything looks truly amazing!